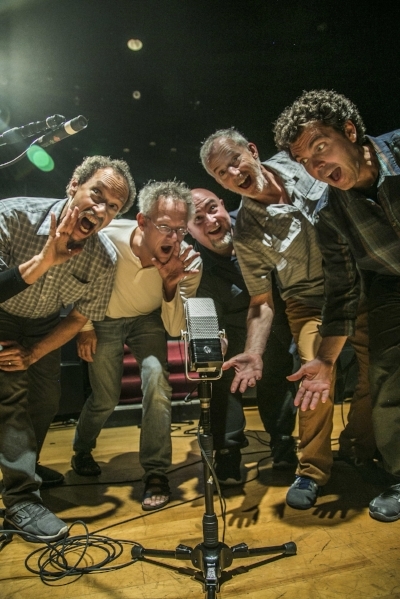 Pat Metheny's "Road to the Sun" will have a regular spot in our concert program this year. Come on out and hear this special piece of music! We're touring the U.S. this Spring and Fall, and Europe this summer! With Pat Metheny after the New York premiere. 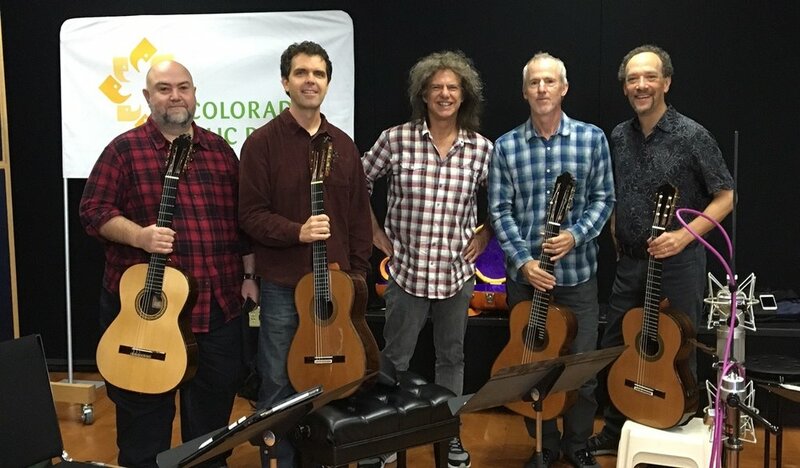 With Pat Metheny in attendance, LAGQ played the world premiere of “Road to the Sun” on October 20, 2016 at the Newman Center in Denver. The piece is a major work - six movements in 25 minutes - and runs the expressive gamut. 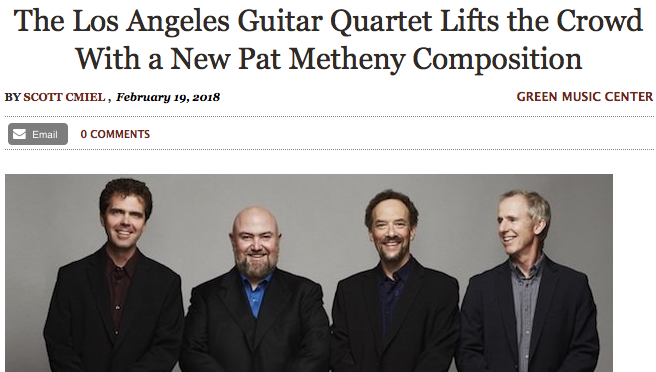 Metheny is one of the world’s most celebrated compositional voices and this piece is a thrilling sampling of his wide-range expression.